We are recognized as one of eminent Calcium Nitrate Suppliers in India. 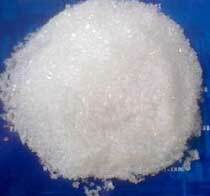 The Calcium Nitrate offered by us is colorless transparent crystal that is soluble in water and alcohol. Furthermore, it easily deliquesces in the air. Calcium Nitrate is used in agriculture as quick fertilizer, electronic tubes, fireworks, and so forth.